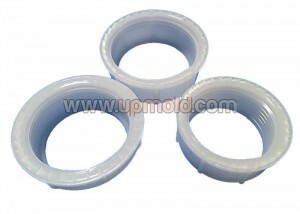 Custom manufacturer of precision molded plastics including plastic molds. 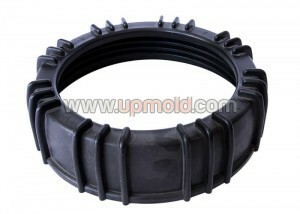 Materials include ABS, acetal, acrylic, nylon, polycarbonate, polyester, PBT, PET, PPO, PPS, polyurethane, SAN, thermoplastic elastomers, polyethylene & polypropylene. 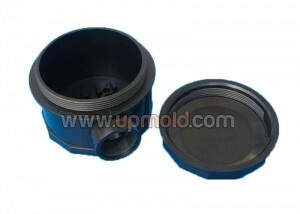 Parts are injection molded in clamping pressure from 45 tons to 600 tons & in weights up to 75 oz. with clamp position repeatability up to 20 microns, settable pressure up to 1 kgf/sq. cm & 50 milliseconds velocity. Secondary services including machining, drilling, tapping, turning, broaching, sonic welding & routing are available. 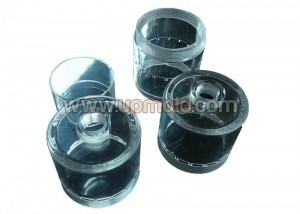 Upmold provides a wide range of automatically Unscrewing plastic injection mold manufacturing service that will be using the half mold design, complicated lifter assembly or thread core rotating automatically. As below some samples we done.